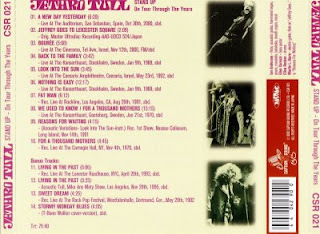 JETHRO TULL-STAND UP (ON TOUR THROUGH THE YEARS).CAPTAIN SOUND RECORDS 2007. MADE IN JAPAN. CSR 021.